Authors: Konoplyannikov M.A., Kalsin V.A., Averyanov A.V. Ischemic heart disease (IHD) accelerates death of cardiomyocytes and leads to the onset of cardiac failure. Due to the application of stem cells, there exists a potential for the regeneration of a damaged myocardium. Here we present a brief review of the modern data on the application of different types of stem cells for the IHD therapy. We pay special attention to the type of stem cells which is most preferable for the clinical application, namely, to the mesenchymal stem cells (MSC), including their advantages, clinical trials, as well as the strategy for the MSC optimization in order to boost their regenerative potential. ischemic heart disease, cardiac remodelling, cardiovascular regeneration, stem cells, mesenchymal stem cells, preconditioning. Lopez AD, Mathers CD, Ezzati M, Jamison DT, Murray CJ. Global and regional burden of disease and risk factors, 2001: Systematic analysis of population health data. Lancet 2006; 367: 1747 – 57. Diwan A, Dorn GW 2nd. Decompensation of cardiac hypertrophy: Cellular mechanisms and novel therapeutic targets. Physiology (Bethesda) 2007; 22: 56 – 64. Diwan A, Krenz M, Syed FM, Wansapura J, Ren X, Koesters AG, et al. Inhibition of ischemic cardiomyocyte apoptosis through targeted ablation of bnip3 restrains postinfarction remodeling in mice. J Clin Invest 2007; 117: 2825 – 33. Abdel-Latif A, Bolli R, Tleyjeh IM, Montori VM, et al. Adult bone marrow-derived cells for cardiac repair: A systematic review and meta-analysis. Arch Intern Med 2007; 167: 989 – 97. Leri A, Kajstura J, Anversa P. Cardiac stem cells and mechanisms of myocardial regeneration. Physiol Rev 2005; 85: 1373 – 1416. Borchardt T, Braun T. Cardiovascular regeneration in non-mammalian model systems: What are the differences between newts and man? Thromb Haemost 2007; 98: 311 – 18. Poss KD. Getting to the heart of regeneration in zebrafish. Semin Cell Dev Biol 2007; 18: 36 – 45. Bergmann O, Bhardwaj RD, Bernard S, Zdunek S, Barnabe-Heider F, Walsh S, et al. Evidence for cardiomyocyte renewal in humans. Science 2009; 324: 98 – 102. Beltrami AP, Urbanek K, Kajstura J, Yan SM, Finato N, Bussani R, et al. Evidence that human cardiac myocytes divide after myocardial infarction. N Engl J Med 2001; 344: 1750 – 57. Ahuja P, Sdek P, MacLellan WR. Cardiac myocyte cell cycle control in development, disease, and regeneration. Physiol Rev 2007; 87: 521 – 44. Keller G. Embryonic stem cell differentiation: Emergence of a new era in biology and medicine. Genes Dev 2005; 19: 1129 – 55. Mignone JL, Kreutziger KL, Paige SL, Murry CE. Cardiogenesis from human embryonic stem cells. Circ J 2010; 74: 2517 – 26. Mummery C, Ward-van Oostwaard D, Doevendans P, Spijker R, van den Brink S, Hassink R, et al. Differentiation of human embryonic stem cells to cardiomyocytes: Role of co-culture with visceral endoderm-like cells. Circulation 2003; 107: 2733 – 40. Xue T, Cho HC, Akar FG, Tsang SY, Jones SP, Marban E, et al. Functional integration of electrically active cardiac derivatives from genetically engineered human embryonic stem cells with quiescent recipient ventricular cardiomyocytes: Insights into the development of cell-based pacemakers. Circulation 2005; 111: 11 – 20. Caspi O, Huber I, Kehat I, Habib M, Arbel G, Gepstein A, et al. Transplantation of human embryonic stem cell-derived cardiomyocytes improves myocardial performance in infarcted rat hearts. J Am Coll Cardiol 2007; 50: 1884 – 93. Condorelli G, Catalucci D. Human stem cells for heart failure treatment ready for prime time? J Am Coll Cardiol 2007; 50: 1894 –95. Takahashi K, Yamanaka S. Induction of pluripotent stem cells from mouse embryonic and adult fibroblast cultures by defined factors. Cell 2006; 126: 663 – 76. Zhang J, Wilson GF, Soerens AG, Koonce CH, Yu J, Palecek SP, et al. Functional cardiomyocytes derived from human induced pluripotent stem cells. Circ Res 2009; 104: e30 – e41. Nelson TJ, Martinez-Fernandez A, Yamada S, Perez-Terzic C, Ikeda Y, Terzic A. Repair of acute myocardial infarction by human stemness factors induced pluripotent stem cells. Circulation 2009; 120: 408 – 16. Yoshida Y, Yamanaka S. IPS cells: A source of cardiac regeneration. J Mol Cell Cardiol 2011; 50: 327 – 32. Ieda M, Fu JD, Delgado-Olguin P, Vedantham V, Hayashi Y, Bruneau BG, et al. Direct reprogramming of fibroblasts into functional cardiomyocytes by defined factors. Cell 2010; 142: 375 – 86. Efe JA, Hilcove S, Kim J, Zhou H, Ouyang K, Wang G, et al. Conversion of mouse fibroblasts into cardiomyocytes using a direct reprogramming strategy. Nat Cell Biol 2011; 13: 215 – 22. Qian L, Huang Y, Spencer CI, Foley A, Vedantham V, Liu L, et al. In vivo reprogramming of murine cardiac fibroblasts into induced cardiomyocytes. Nature 2012; 485(7400): 593-8. Orlic D, Kajstura J, Chimenti S, Limana F, Jakoniuk I, Quaini F, et al. Mobilized bone marrow cells repair the infarcted heart, improving function and survival. Proc Natl Acad Sci USA 2001; 98: 10344 – 49. Yoon YS, Wecker A, Heyd L, Park JS, Tkebuchava T, Kusano K, et al. Clonally expanded novel multipotent stem cells from human bone marrow regenerate myocardium after myocardial infarction. J Clin Invest 2005; 115: 326 – 38. Kajstura J, Rota M, Whang B, Cascapera S, Hosoda T, Bearzi C, et al. Bone marrow cells differentiate in cardiac cell lineages after infarction independently of cell fusion. Circ Res 2005; 96: 127 – 37. Clifford DM, Fisher SA, Brunskill SJ, et al. Stem cell treatment for acute myocardial infarction. Cochrane Database Syst Rev 2012; 2: CD006536. Templin C, Kotlarz D, Faulhaber J, Schnabel S, Grote K, Salguero G, et al. Ex vivo expanded hematopoietic progenitor cells improve cardiac function after myocardial infarction: Role of beta-catenin transduction and cell dose. J Mol Cell Cardiol 2008; 45: 394 – 403. Mansour S, Roy DC, Bouchard V, Nguyen BK, Stevens LM, Gobeil F, et al. COMPARE-AMI trial: Comparison of intracoronary injection of CD133+ bone marrow stem cells to placebo in patients after acute myocardial infarction and left ventricular dysfunction: Study rationale and design. J Cardiovasc Transl Res 2010; 3: 153 – 59. Balsam LB, Wagers AJ, Christensen JL, Kofidis T, Weissman IL, Robbins RC. Haematopoietic stem cells adopt mature haematopoietic fates in ischaemic myocardium. Nature 2004; 428: 668 – 73. Murry CE, Soonpaa MH, Reinecke H, Nakajima H, Nakajima HO, Rubart M, et al. Haematopoietic stem cells do not transdifferentiate into cardiac myocytes in myocardial infarcts. Nature 2004; 428: 664 – 68. Jujo K, Ii M, Losordo DW. Endothelial progenitor cells in neovascularization of infarcted myocardium. J Mol Cell Cardiol 2008; 45: 530 – 44. Leone AM, Rutella S, Giannico MB, Perfetti M, Zaccone V, Brugaletta S, et al. Effect of intensive vs standard statin therapy on endothelial progenitor cells and left ventricular function in patients with acute myocardial infarction: Statins for Regeneration after Acute myocardial infarction and PCI (STRAP) trial. Int J Cardiol 2008; 130: 457 – 62. Gruh I, Beilner J, Blomer U, Schmiedl A, Schmidt-Richter I, Kruse ML, et al. No evidence of transdifferentiation of human endothelial progenitor cells into cardiomyocytes after coculture with neonatal rat cardiomyocytes. Circulation 2006; 113: 1326 – 34. Barry FP, Murphy JM. Mesenchymal stem cells: Clinical applications and biological characterization. Int J Biochem Cell Biol 2004; 36: 568 – 84. Xu X, Xu Z, Xu Y, Cui G. Selective down-regulation of extracellular matrix gene expression by bone marrow derived stem cell transplantation into infarcted myocardium. Circ J 2005; 69: 1275 – 83. Xu H, Yang YJ, Qian HY, Tang YD, Wang H, Zhang Q. Rosuvastatin treatment activates JAK-STAT pathway and increases efficacy of allogeneic mesenchymal stem cell transplantation in infracted hearts. Circ J 2011; 75: 1476 – 85. Amado LC, Saliaris AP, Schuleri KH, St John M, Xie JS, Cattaneo S, et al. Cardiac repair with intramyocardial injection of allogeneic mesenchymal stem cells after myocardial infarction. Proc Natl Acad Sci USA 2005; 102: 11474 – 79. Caplan AI, Dennis JE. Mesenchymal stem cells as trophic mediators. J Cell Biochem 2006; 98: 1076 – 84. Aggarwal S, Pittenger MF. Human mesenchymal stem cells modulate allogeneic immune cell responses. Blood 2005; 105: 1815 – 22. Makino S, Fukuda K, Miyoshi S, et al. Cardiomyocytes can be generated from marrow stromal cells in vitro. J Clin Invest. 1999; 103(5): 697-705. Tomita S, Li RK, Weisel RD, Mickle DA, Kim EJ, Sakai T, Jia ZQ. Autologous transplantation of bone marrow cells improves damaged heart function. Circulation 1999; 100 (19 Suppl): II247-256. Davani S, Marandin A, Mersin N, Royer B, Kantelip B, Hervé P, Etievent JP, Kantelip JP. Mesenchymal progenitor cells differentiate into an endothelial phenotype, enhance vascular density, and improve heart function in a rat cellular cardiomyoplasty model. Circulation 2003; 108 Suppl 1: II253-258. Wang J-S., Shum-Tim D., Chedrawy E. Marrow stromal cells for cellular cardiomyoplasty: the importance of microenvironment for milieu dependent differentiation. Circulation 2000; 102: II-683. Menasche P. Skeletal myoblasts as a therapeutic agent. Prog Cardiovasc Dis 2007; 50: 7 – 17. Pagani FD, DerSimonian H, Zawadzka A, Wetzel K, Edge AS, Jacoby DB, et al. Autologous skeletal myoblasts transplanted to ischemia damaged myocardium in humans: Histological analysis of cell survival and differentiation. J Am Coll Cardiol 2003; 41: 879 – 88. Ghostine S, Carrion C, Souza LC, Richard P, Bruneval P, Vilquin JT, et al. Long-term efficacy of myoblast transplantation on regional structure and function after myocardial infarction. Circulation 2002; 106: I131 – 36. Reinecke H, Poppa V, Murry CE. Skeletal muscle stem cells do not transdifferentiate into cardiomyocytes after cardiac grafting. J Mol Cell Cardiol 2002; 34: 241 – 49. Eisen HJ. Skeletal myoblast transplantation: No magic bullet for ischemic cardiomyopathy. Nat Clin Pract Cardiovasc Med 2008; 5: 520 – 21. Oh H, Bradfute SB, Gallardo TD, Nakamura T, Gaussin V, Mishina Y, et al. Cardiac progenitor cells from adult myocardium: Homing, differentiation, and fusion after infarction. Proc Natl Acad Sci USA 2003; 100: 12313 – 18. Matsuura K, Nagai T, Nishigaki N, Oyama T, Nishi J, Wada H, et al. Adult cardiac Sca-1-positive cells differentiate into beating cardiomyocytes. J Biol Chem 2004; 279: 11384 – 91. Wang X, Hu Q, Nakamura Y, Lee J, Zhang G, From AH, et al. The role of the Sca-1+/CD31− cardiac progenitor cell population in postinfarction left ventricular remodeling. Stem Cells 2006; 24: 1779 – 88. Beltrami AP, Barlucchi L, Torella D, Baker M, Limana F, Chimenti S, et al. Adult cardiac stem cells are multipotent and support myocardial regeneration. Cell 2003; 114: 763 – 76. Bolli R, Chugh AR, D’Amario D, Loughran JH, Stoddard MF, Ikram S, et al. Cardiac stem cells in patients with ischaemic cardiomyopathy (SCIPIO): Initial results of a randomised phase 1 trial. Lancet 2011; 378: 1847 – 57. Zaruba MM, Soonpaa M, Reuter S, Field LJ. Cardiomyogenic potential of c-kit(+)-expressing cells derived from neonatal and adult mouse hearts. Circulation 2010; 121: 1992 – 2000. Beltrami AP, Barlucchi L, Torella D, Baker M, et al. Adult cardiac stem cells are multipotent and support myocardial regeneration. Cell. 2003; 114: 763–76. Dawn B, Stein AB, Urbanek K, Rota M, et al. Cardiac stem cells delivered intravascularly traverse the vessel barrier, regenerate infarcted myocardium, and improve cardiac function. Proc Natl Acad Sci U S A. 2005; 102: 3766–71. Fazel S, Cimini M, Chen L, Li S, Angoulvant D, Fedak P, et al. Cardioprotective c-kit+ cells are from the bone marrow and regulate the myocardial balance of angiogenic cytokines. J Clin Invest 2006; 116: 1865 – 77. Cai CL, Liang X, Shi Y, Chu PH, Pfaff SL, Chen J, et al. Isl1 identifies a cardiac progenitor population that proliferates prior to differentiation and contributes a majority of cells to the heart. Dev Cell 2003; 5: 877 – 89. Laugwitz KL, Moretti A, Lam J, Gruber P, Chen Y, Woodard S, et al. Postnatal Isl1+ cardioblasts enter fully differentiated cardiomyocyte lineages. Nature 2005; 433: 647 – 53. Chien KR, Domian IJ, Parker KK. Cardiogenesis and the complex biology of regenerative cardiovascular medicine. Science 2008; 322: 1494 – 97. Laugwitz KL, Moretti A, Caron L, Nakano A, Chien KR. Islet1 cardiovascular progenitors: A single source for heart lineages? Development 2008; 135: 193 – 205. Martin-Puig S, Wang Z, Chien KR. Lives of a heart cell: Tracing the origins of cardiac progenitors. Cell Stem Cell 2008; 2: 320 – 31. Wu SM, Chien KR, Mummery C. Origins and fates of cardiovascular progenitor cells. Cell 2008; 132: 537 – 43. Kattman SJ, Huber TL, Keller GM. Multipotent flk-1+ cardiovascular progenitor cells give rise to the cardiomyocyte, endothelial, and vascular smooth muscle lineages. Dev Cell 2006; 11: 723 – 32. Moretti A, Caron L, Nakano A, Lam JT, Bernshausen A, Chen Y, et al. Multipotent embryonic Isl1+ progenitor cells lead to cardiac, smooth muscle, and endothelial cell diversification. Cell 2006; 127: 1151 – 65. Challen GA, Little MH. A side order of stem cells: The SP phenotype. Stem Cells 2006; 24: 3 – 12. Martin CM, Meeson AP, Robertson SM, Hawke TJ, Richardson JA, Bates S, et al. Persistent expression of the ATP-binding cassette transporter, abcg2, identifies cardiac SP cells in the developing and adult heart. Dev Biol 2004; 265: 262 – 75. Oyama T, Nagai T, Wada H, Naito AT, Matsuura K, Iwanaga K, et al. Cardiac side population cells have a potential to migrate and differentiate into cardiomyocytes in vitro and in vivo. J Cell Biol 2007; 176: 329 – 41. Messina E, De Angelis L, Frati G, Morrone S, Chimenti S, Fiordaliso F, et al. Isolation and expansion of adult cardiac stem cells from human and murine heart. Circ Res 2004; 95: 911 – 21. Takehara N, Tsutsumi Y, Tateishi K, Ogata T, Tanaka H, Ueyama T, et al. Controlled delivery of basic fibroblast growth factor promotes human cardiosphere-derived cell engraftment to enhance cardiac repair for chronic myocardial infarction. J Am Coll Cardiol 2008; 52: 1858 – 65. Dawn B, Stein AB, Urbanek K, Rota M, Whang B, Rastaldo R, et al. Cardiac stem cells delivered intravascularly traverse the vessel barrier, regenerate infarcted myocardium, and improve cardiac function. Proc Natl Acad Sci USA 2005; 102: 3766 – 71. Smith RR, Barile L, Cho HC, Leppo MK, Hare JM, Messina E, et al. Regenerative potential of cardiosphere-derived cells expanded from percutaneous endomyocardial biopsy specimens. Circulation 2007; 115: 896 – 908. Katritsis, D. G., Sotiropoulou, P. A., Karvouni, E., et al. Transcoronary transplantation of autologous mesenchymal stem cells and endothelial progenitors into infarcted human myocardium. Catheterization and Cardiovasc Interv 2005; 65: 321–29. Yang Z., Zhang F., Ma W., et al. A novel approach to transplanting bone marrow stem cells to repair human myocardial infarction: Delivery via a noninfarct-relative artery. Cardiovasc Ther 2010; 28: 380–85. Chen S., Liu Z., Tian N., et al. Intracoronary transplantation of autologous bone marrow mesenchymal stem cells for ischemic cardiomyopathy due to isolated chronic occluded left anterior descending artery. J Invasive Cardiol 2006; 18: 552–6. Katritsis D.G., Sotiropoulou P., Giazitzoglou E., Karvouni E., Papamichail M. Electrophysiological effects of intracoronary transplantation of autologous mesenchymal and endothelial progenitor cells. Europace 2007; 9: 167–171. Williams A.R., Trachtenberg B., Velazquez D.L., et al. Intramyocardial stem cell injection in patients with ischemic cardiomyopathy: Functional recovery and reverse remodeling. Circ Res 2011; 108: 792–96. Hare J.M., Traverse J.H., Henry T.D., et al. A randomized, double-blind, placebo-controlled, dose-escalation study of intravenous adult human mesenchymal stem cells (prochymal) after acute myocardial infarction. J Am Coll Cardiol 2009; 54: 2277– 86. Fischer U.M., Harting M.T., Jimenez F., et al. Pulmonary passage is a major obstacle for intravenous stem cell delivery: The pulmonary first-pass effect. Stem Cells Dev 2009; 18: 683–92. Цыб А.Ф., Коноплянников А.Г., Каплан М.А., Поповкина О.Е. и др., Использование системной трансплантации кардиомиобластов, полученных из мезенхимальных стволовых клеток аутологичного костного мозга, при комплексной терапии больных с хронической сердечной недостаточностью. Клеточная трансплантология и тканевая инженерия 2009; 4 (1): 78-84. Акчурин Р.С., Белявская Т.М., Скридлевская Е.А., Конопляников А.Г. и др. Трансплантация аутологичных стволовых клеток во время операции коронарного шунтирования у больных ишемической болезнью сердца с постинфарктным кардиосклерозом и хронической сердечной недостаточностью. Грудная и сердечно-сосудистая хирургия 2009; 51(4): 23-28. Khan M., Kwiatkowski P., Rivera B.K., Kuppusamy P. Oxygen and oxygenation in stem-cell therapy for myocardial infarction. Life Sci 2010; 87: 269–74. Kofoed H., Sjontoft E., Siemssen S.O., Olesen H.P. Bone marrow circulation after osteotomy. Blood flow, pO2, pCO2, and pressure studied in dogs. Acta Orthop Scand 1985; 56: 400–403. Hu X., Yu S.P., Fraser J.L., et al. Transplantation of hypoxia-preconditioned mesenchymal stem cells improves infarcted heart function via enhanced survival of implanted cells and angiogenesis. 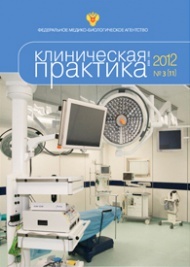 Journal Thorac Сardiovasc Surg 2008; 135: 799–808. Li J.H., Zhang N., Wang J.A. Improved antiapoptotic and anti-remodeling potency of bone marrow mesenchymal stem cells by anoxic pre-conditioning in diabetic cardiomyopathy. J Endocrinol Invest 2008; 31: 103–110. Rebelatto C.K., Aguiar A.M., Senegaglia A.C., et al. Expression of cardiac function genes in adult stem cells is increased by treatment with nitric oxide agents. Biochem Biophys Res Commun 2009; 378: 456–461. Afzal MR, Haider HKh, Idris NM, Jiang S, Ahmed RP, Ashraf M. Pre-conditioning promotes survival and angiomyogenic potential of mesenchymal stem cells in the infarcted heart via NF-kappaB signaling. Antioxid Redox Signal 2010; 12: 693–702. Suzuki Y, Kim HW, Ashraf M, Haider HKh. Diazoxide potentiates mesenchymal stem cell survival via NFkappaB- dependent miR-146a expression by targeting Fas. Am J Physiol Heart Circ Physiol 2010; 299: H1077– 82. Suzuki K., Smolenski R.T., Jayakumar J., Murtuza B., et al. Heat shock treatment enhances graft cell survival in skeletal myoblast transplantation to the heart. Circulation 2000; 102 (19 Suppl 3): III216–III221. Wang X., Zhao T., Huang W., et al. Hsp20-engineered mesenchymal stem cells are resistant to oxidative stress via enhanced activation of Akt and increased secretion of growth factors. Stem Cells 2009; 27: 3021–3031. Chang W., Song B-W., Lim S., et al. Mesenchymal stem cells pretreated with delivered Hph-1-Hsp70 protein are protected from hypoxia-mediated cell death and rescue heart functions from myocardial injury. Stem Cells 2008; 27: 2283–2292. Yang Y.J., Qian H.Y., Huang J., et al. Combined therapy with simvastatin and bone marrow-derived mesenchymal stem cells increases benefits in infarcted swine hearts. Arterioscler Thromb Vasc Biol 2009; 29: 2076–82. Yang Y., Mou Y., Hu S.J., Fu M. Beneficial effect of rosuvastatin on cardiac dysfunction is associated with alterations in calcium-regulatory proteins. Eur J Heart Fail 2009; 11: 6–13. Lin Y.C., Leu S., Sun C.K., et al. Early combined treatment with sildenafil and adipose-derived mesenchymal stem cells preserves heart function in rat dilated cardiomyopathy. J Transl Med 2010; 8: 88. Haider H., Lee Y.J., Jiang S., Ahmed R.P., et al. Phosphodiesterase inhibition with tadalafil provides longer and sustained protection of stem cells. Am J Physiol Heart Circ Physiol 2010; 299: H1395–H1404. Numasawa Y., Kimura T., Miyoshi S., et al. Treatment of human mesenchymal stem cells with angiotensin receptor blocker improved efficiency of cardiomyogenic transdifferentiation and improved cardiac function via angiogenesis. Stem Cells 2011; 29: 1405–1414. Wang Y., Zhang D., Ashraf M., et al. Combining neuropeptide Yand mesenchymal stem cells reverses remodeling after myocardial infarction. Am J Physiol Heart Circ Physiol 2010; 298: H275 – 86. Kinnaird T., Stabile E., Burnett M.S., et al. (2004). Local delivery of marrow-derived stromal cells augments collateral perfusion through paracrine mechanisms. Circulation 2004; 109: 1543–1549. Herrmann J.L., Wang Y., Abarbanell A.M., et al. Pre-conditioning mesenchymal stem cells with transforming growth factor-alpha improves mesenchymal stem cell-mediated cardioprotection. Shock 2010; 33: 24–30. Pasha Z., Wang Y., Sheikh R., Zhang D., et al. Pre-conditioning enhances cell survival and differentiation of stem cells during transplantation in infarcted myocardium. Cardiovasc Res 2008; 77: 134–142. Yao Y., Zhang F., Wang L., et al. Lipopolysaccharide pre-conditioning enhances the efficacy of mesenchymal stem cells transplantation in a rat model of acute myocardial infarction. J Biomed Sci 2009; 16: 74-84. Matsumoto R., Omura T., Yoshiyama M., et al. Vascular endothelial growth factor–expressing mesenchymal stem cell transplantation for the treatment of acute myocardial infarction. Arterioscler Thromb Vasc Biol 2005; 25: 1168–1173. Guo J., Lin G., Bao C., Hu Z., Chu H., Hu M. Insulin-like growth factor 1 improves the efficacy of mesenchymal stem cells transplantation in a rat model of myocardial infarction. J Biomed Sci 2008; 15: 89–97. Abbott J.D., Huang Y., Liu D., Hickey R., et al. Stromal cell–derived factor-1α plays a critical role in stem cell recruitment to the heart after myocardial infarction but is not sufficient to induce homing in the absence of injury. Circulation 2004; 110: 3300–3305. Kijowski J., Baj-Krzyworzeka M., Majka M., et al. The SDF-1-CXCR4 axis stimulates VEGF secretion and activates integrins but does not affect proliferation and survival in lymphohematopoietic cells. Stem Cells 2001; 19: 453–466. Zhuang Y., Chen X., Xu M., et al. Chemokine stromal cell-derived factor 1/CXCL12 increases homing of mesenchymal stem cells to injured myocardium and neovascularization following myocardial infarction. Chin Med J (Engl). 2009 Jan 20;122(2):183-7. Tang J.,Wang J., Guo L., et al. Mesenchymal stem cells modified with stromal cell-derived factor 1 alpha improve cardiac remodeling via paracrine activation of hepatocyte growth factor in a rat model of myocardial infarction. Mol Cells 2010; 29: 9–19. Guo Y.H., He J.G., Wu J.L., et al. Hepatocyte growth factor and granulocyte colony-stimulating factor form a combined neovasculogenic therapy for ischemic cardiomyopathy. Cytotherapy 2008; 10: 857–867. Huang J., Zhang Z., Guo J., et al. Genetic modification of mesenchymal stem cells overexpressing CCR1 increases cell viability, migration, engraftment, and capillary density in the injured myocardium. Circ Res 2010; 106, 1753–62. Tang J., Wang J., Zheng F., et al. Combination of chemokine and angiogenic factor genes and mesenchymal stem cells could enhance angiogenesis and improve cardiac function after acute myocardial infarction in rats. Mol Cell Biochem 2010; 339: 107–118. Крышталь Г.В., Жданкина Г.М., Конопляников А.Г., Тартаковский В.А. и др. Синтез аналогов метапрогерола. Известия Академии наук. Серия химическая 2012; 76 (2): 253-258. Franke T.F., Kaplan, D.R., Cantley L.C. PI3K: Downstream AKTion blocks apoptosis. Cell 1997; 88: 435–37. Datta S.R., Brunet A., Greenberg M.E. Cellular survival: A play in three Akts. Genes Dev 1999; 13: 2905–27. Somanath P.R., Razorenova O.V., Chen J., Byzova, T.V. Akt1 in endothelial cell and angiogenesis. Cell Cycle 2006; 5: 512–18. Gnecchi M., He H., Liang O.D., et al. Paracrine action accounts for marked protection of ischemic heart by Akt modified mesenchymal stem cells. Nat Med 2005; 11: 367–368. Gnecchi M., He H., Noiseux N., et al. Evidence supporting paracrine hypothesis for Akt-modified mesenchymal stem cell-mediated cardiac protection and functional improvement. FASEB J 2006; 20: 661–9. Gnecchi M., He H., Melo L.G., et al. Early beneficial effects of bone marrow-derived mesenchymal stem cells overexpressing Akt on cardiac metabolism after myocardial infarction. Stem Cells 2009; 27: 971–979. Mirotsou M., Zhang Z., Deb A., et al. Secreted frizzled related protein 2 (Sfrp2) is the key Akt-mesenchymal stem cellreleased paracrine factor mediating myocardial survival and repair. Proc Natl Acad Sci U S A 2007; 104: 1643–1648. Song S.W., Chang W., Song, B.W., et al. Integrin-linked kinase is required in hypoxic mesenchymal stem cells for strengthening cell adhesion to ischemic myocardium. Stem Cells 2009; 27: 1358–1365. Jiang Y., Chen L., Tang Y., et al. HO-1 gene overexpression enhances the beneficial effects of superparamagnetic iron oxide labeled bone marrow stromal cells transplantation in swine hearts underwent ischemia/reperfusion: An MRI study. Basic Res Cardiol 2010; 105: 431–442. Taljaard M.,Ward M.R., Kutryk M.J., et al. Rationale and design of Enhanced Angiogenic Cell Therapy in Acute Myocardial Infarction (ENACT-AMI): The first randomized placebo-controlled trial of enhanced progenitor cell therapy for acute myocardial infarction. Am Heart J 2010; 159: 354–360. Mias C., Trouche E., Seguelas M.H., et al. Ex vivo pretreatment with melatonin improves survival, proangiogenic/mitogenic activity, and efficiency of mesenchymal stem cells injected into ischemic kidney. Stem Cells 2008; 26: 1749–1757. Behfar A., Zingman L.V., Hodgson D.M., et al. Stem cell differentiation requires a paracrine pathway in the heart. FASEB J 2002; 16: 1558–66. Behfar A., Perez-Terzic C., Faustino R.S., et al. Cardiopoietic programming of embryonic stem cells for tumor free heart repair. J Exp Med 2007; 204: 405–420. Behfar A., Yamada S., Crespo-Diaz R., et al. (2010). Guided cardiopoiesis enhances therapeutic benefit of bone marrow human mesenchymal stem cells in chronic myocardial infarction. J Am Coll Cardiol 2010; 56: 721–734. Bartunek J., Wijns W., Dolatabadi D., et al. C-cure multicenter trial: Lineage specific bone marrow derived cardiopoietic mesenchymal stem cells for the treatment of ischaemic cardiomyopathy. J Am Coll Cardiol 2011; 57: E200. Lakshmipathy U, Hart RP. Concise review: MicroRNA expression in multipotent mesenchymal stromal cells. Stem Cells 2008; 26 (2): 356-63. Valtieri M, Sorrentino A. The mesenchymal stromal cell contribution to homeostasis. J Cell Physiol. 2008; 217 (2): 296-300. Karp X, Ambros V. Developmental biology: encountering microRNAs in cell fate signaling. Science 2005; 310 (5752): 1288–9. Kloosterman WP, Plasterk RH. The diverse functions of microRNAs in animal development and disease. Dev Cell 2006; 11 (4): 441–50. van Rooij E, Sutherland LB, Liu N, Williams AH, et al. A signature pattern of stress-responsive microRNAs that can evoke cardiac hypertrophy and heart failure. Proc Natl Acad Sci U S A 2006; 103 (48): 18255–60. Kim J, Inoue K, Ishii J, Vanti WB, Voronov SV, Murchison E, et al. A microRNA feedback circuit in midbrain dopamine neurons. Science 2007; 317 (5842): 1220–4. Calin GA, Croce CM. MicroRNA signatures in human cancers. Nat Rev Cancer 2006; 6 (11): 857–66. Guo L, Zhao RC, Wu Y. The role of miRNAs in self-renewal and differentiation of mesenchymal stem cells. Exp Hematol. 2011; 39 (6): 608–16. Eskildsen T, Taipaleenmäki H, Stenvang J, Abdallah BM, et al. MicroRNA-138 regulates osteogenic differentiation of human stromal (mesenchymal) stem cells in vivo. Proc Natl Acad Sci USA 2011; 108: 6139–6144. Yang Z, Bian C, Zhou H, Huang S, et al. MicroRNA hsa-miR-138 inhibits adipogenic differentiation of human adipose tissue-derived mesenchymal stem cells through adenovirus EID-1. Stem Cells Dev. 2011; 20: 259–267. Huang J., Zhao L., Xing L., Chen D. MicroRNA-204 regulates Runx2 protein expression and mesenchymal progenitor cell differentiation. Stem Cells 2010. 28:357–364. Zhang JF, Fu WM, He ML, et al. MiR-637 maintains the balance between adipocytes and osteoblasts by directly targeting Osterix. Mol Biol Cell 2011; 22: 3955–3961. Shan ZX, Lin QX, Yu XY, et al. [MicroRNAs can be expressed in cardiomyocyte-like cells differentiated from human mesenchymal stem cells]. [Article in Chinese] Nan Fang Yi Ke Da Xue Xue Bao 2007; 27: 1813–1816. Liu JL, Jiang L, Lin QX, Deng CY, Mai LP, Zhu JN, Li XH, Yu XY, Lin SG, Shan ZX. MicroRNA 16 enhances differentiation of human bone marrow mesenchymal stem cells in a cardiac niche toward myogenic phenotypes in vitro. Life Sci. 2012; 90 (25-26): 1020-6. Psaltis P. J., Simari R. D., Rodriguez-Porcel M. Emerging roles for integrated imaging modalities in cardiovascular cell-based therapeutics: A clinical perspective. Eur J Nucl Med Mol Imaging. 2012 Jan;39(1):165-81. Lunde K., Solheim S., Aakhus S., et al. Intracoronary injection of mononuclear bone marrow cells in acute myocardial infarction. New Eng J Med 2006; 355: 1199–1209. Schachinger V., Erbs S., Elsasser A., et al. Intracoronary bone marrow-derived progenitor cells in acute myocardial infarction. New Eng J Med 2006; 355: 1210–1221. Traverse J.H., Henry T.D., Ellis S.G., et al. Effect of intracoronary delivery of autologous bone marrow mononuclear cells 2 to 3 weeks following acute myocardial infarction on left ventricular function: The LateTIME randomized trial. JAMA 2011; 306: 2110–2119. Vulliet P.R., Greeley M., Halloran S.M., MacDonald K. A., Kittleson, M. D. Intra-coronary arterial injection of mesenchymal stromal cells and microinfarction in dogs. Lancet 2004; 363: 783–784. Freyman T., Polin G., Osman H., et al. A quantitative, randomized study evaluating three methods of mesenchymal stem cell delivery following myocardial infarction. Eur Heart J 2006; 27: 1114–1122. Ly H.Q., Hoshino K., Pomerantseva I., et al. In vivo myocardial distribution of multipotent progenitor cells following intracoronary delivery in a swine model of myocardial infarction. Eur Heart J 2009; 30: 2861–2868. Hou D., Youssef E.A., Brinton T.J., et al. Radiolabeled cell distribution after intramyocardial, intracoronary, and interstitial retrograde coronary venous delivery: Implications for current clinical trials. Circulation 2005; 112: I150–I156. Perin E.C., Silva G.V., Assad J.A., et al. Comparison of intracoronary and transendocardial delivery of allogeneic mesenchymal cells in a canine model of acute myocardial infarction. J Mol Cell Cardiol 2008; 44: 486–495. Menasche P., Hagege A.A., Vilquin J. T., et al. Autologous skeletal myoblast transplantation for severe postinfarction left ventricular dysfunction. J Am Coll Cardiol 2003; 41: 1078–1083. Mitchell A.J., Sabondjian E., Sykes J., et al. Comparison of initial cell retention and clearance kinetics after subendocardial or subepicardial injections of endothelial progenitor cells in a canine myocardial infarction model. J Nucl Med. 2010; 51: 413–17. Psaltis P., Zannettino A., Gronthos S., Worthley S. Intramyocardial navigation and mapping for stem cell delivery. J Cardiovasc Transl Res 2010; 3: 135–46. Copyright (c) 2012 Konoplyannikov M.A., Kalsin V.A., Averyanov A.V.